Lingzhi mushroom (Ganoderma lucidum) in Sunnyside, Queens. Photo by Erik Baard. Shoppers at the Sunnyside Greenmarket in Queens last weekend scooped up fresh regional produce yet sidestepped the prized Ganoderma lucidum mushroom growing at their feet. This medicinal mushroom, more popularly known by Chinese and Japanese names, Lingzhi or Reishi respectively, is also indigenous to our region. You can find it at the base of common hardwoods filling our parks and lining our streets. Identification of this fungus is easy — the upper fruiting body is often kidney shaped and is remarkable for looking glazed. Indeed, while Asian names reference divinity and immortality, the western scientific name derives from Greek and Latin roots for “shining bright skin. ” Apparently no one has studied the evolutionary advantage of the Ganoderma lucidum’s sheen. This mushroom isn’t eaten because it’s bitter and tough, with a texture “like balsa wood or hard cardboard,” said Dr. Kathie T. Hodge, Associate Professor of Mycology and Director of the Cornell Plant Pathology Herbarium. This mushroom comes into the kitchen is as a powder that some people mix with coffee, or use to wholly replace coffee. Whether powdered or extracted by boiling or alcohol, it’s consumed for believed health benefits. Research into these potential benefits continues, but traditional uses include fighting tumors and viral infections, and generally boosting the immune system. The “red reishi” variety is considered more potent than the black. Red reishi from below. Photo by “Wildman” Steve Brill (http://www.wildmanstevebrill.com/). Is your curiosity is piqued? Harvest. “It will die this fall, so if you want to hack it off, now is the time,” said Hodge. Under the section of the fruiting body that looks glazed is a duller white section riddled with tiny pores. These pores release spores, which are carried by the wind. Once that’s complete, this whole upper section rots off, often consumed by a green mold. “If you find it green, it’s too old. Don’t use it,” Hodge cautioned. This mushroom is also consumed by some rather specifically adapted beetles, both beautiful and bizarre. Their presence might quash some human appetites. Megalodacne fungus eating beetles. Photo by Kathie Hodge, Cornell University. 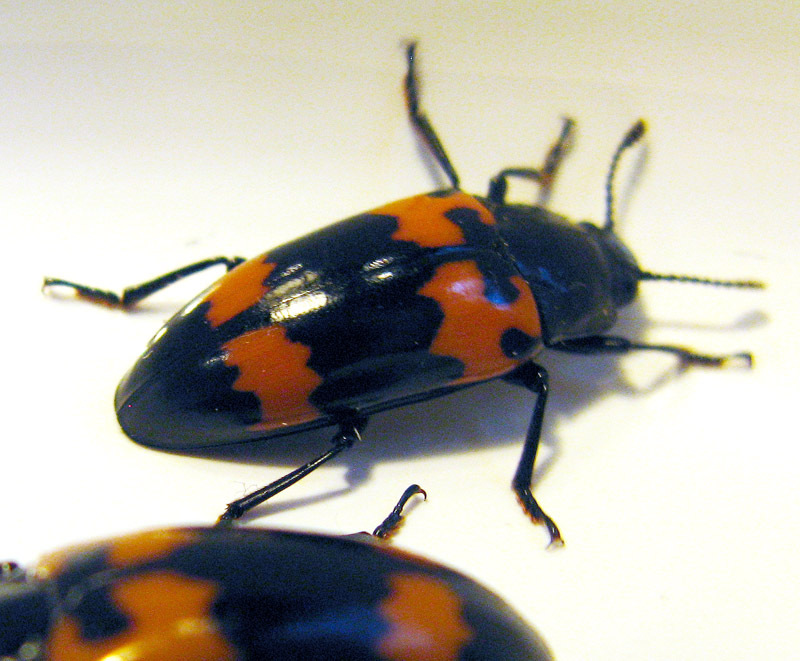 Bolitotherus cornutus fungus beetles. Photos by Kathie Hodge, Cornell University. Foraging mushrooms can be dangerous, especially from urban tree pits. It’s best to go with an experienced forager to a natural area or to take a class, such as those taught by Gary Lincoff, author of The National Audubon Society Field Guide to North American Mushrooms and a New York Botanical Garden instructor. Or, Lincoff noted, it’s “sold in Chinatown.” Organic red reishi mushrooms are also sold at health food stores and online. If you’re a determined forager finding only mushrooms that have gone green, don’t fret. They will grow back next year. Deep in the tree bark and roots is the mycelium — the complex base of the mushroom — ready to regrow a fruiting section next year. And check the maples, oaks, beech, sycamore, cherry, and birch trees in the vicinity. When spores land in a tree wound they take root and grow into new mycelia that then also fruit. 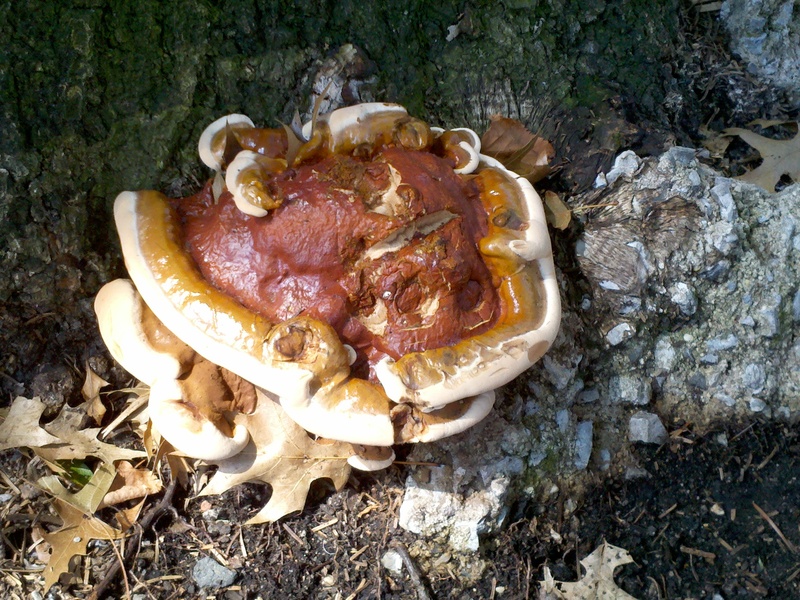 The downside to Ganoderma lucidum is that its feeding on lignan, a plant compound, weakens trees. Hodge cited research pointing to a 30-year life span for red oaks with this mushroom, but noted that the stresses of an urban environment might hasten a tree’s demise. The death blow is very likely to be a windstorm toppling the enfeebled tree. One interesting note is that many of the antioxidant and anti-carcinogenic benefits of Ganoderma lucidum are also attributed to lignans themselves. Out With the Old: NYC Fossils! Not comforting words from a man who measures time in mass extinctions. Paleontologist Carl Mehling is one of many native New Yorkers struggling at the fringes of our city’s constant reinvention and real estate development to preserve glimpses of life from earlier eras. As collections manager for fossil amphibians, reptiles, and birds at the American Museum of Natural History, Mehling went on a personal quest to be the first person to discover naturally occurring fossils in all five boroughs in one year. In his hand that November day he held a piece of chert, a smooth rock that in this case looked like caramel. On its surface were pinholes that a magnifying lens revealed were ringed by radiating spokes. “There’s no ambiguity. That’s a crinoid,” a starfish cousin, Mehling said. The cluster of crinoids that left traces in this stone probably lived about 380 million years ago, he said. Crinoids at Floyd Bennet Field. Photo by Carl Mehling. 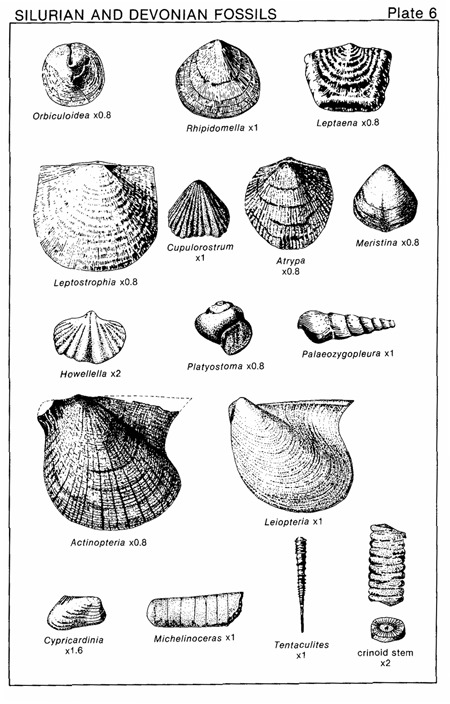 Earlier fossil finds include a brachiopod and a bryozoan (a shellfish and a creature resembling coral, respectively) in a Riverdale Park streambed in the Bronx, another brachiopod or bivalve on a tiny Inwood Hill Park beach in Manhattan, and scallops and oysters on Rockaway Beach in Queens. Conference House Park on Staten Island yielded favositid corals, more crinoids, brachiopods, and bryozoans. Bryozoan and Brachiopod from Riverdale Park. Photo by Carl Mehling. Brachiopod or Bivalve from Inwood Hill Park. Photo by Carl Mehling. Scallops in the Rockaways. Photo by Jill Palermo. Brachiopod and Crinoid from Conference House Park. Photo by Carl Mehling. Crinoid and Bryozoan from Conference House Park. Photo by Carl Mehling. Favositid from Conference House Park. Photo by Carl Mehling. He’s often in a rush. “I deal in millions of years but always feel I have to be a half-hour early. As if it matters,” he remarked. Actually, it did, one day in August when he tackled Queens and Staten Island, with some Nature Calendar people in tow. We had to race to sites before our quarry was covered by the rising tide. An hour later I was scratching around stones jutting from a red clay shoreline bluff near Conference House Park, hoping in vain to loosen something interesting…if I could recognize it. Mehling was yards behind me on the beach, casually picking up Devonian fossils like sea glass. If a rock looked promising but showed no micro-fossils on its surface, Mehling would smash it open with a larger rock. Jill Palermo of WeAddUp.com and Queens Community Board 2 environmental chairperson Dorothy Morehead came along and had the good sense to stick with him, not me. Carl Mehling demonstrates the paleontologist's/prisoners workout routine: breaking rocks in the hot sun. Photo by Jill Palermo. “This is coral, hundreds of millions of years old. If this fossil is as old as I think it is, this place was below the equator when it was living,” he said. “It’s moved a lot, and it’s been through hell.” He also found sea shells from the same period. Still, he’s not very excited by his finds, dismissing them as “invasive species” transported by the glaciers that ground their way down the continent, and therefore not much better than the fossils one can find in the imported stone that make up the Rockefeller Center façade or the walls of the Sherry-Netherland Hotel. In the Rockaways, Kelly Rimshnick is ankle deep in water not far from her kids as we scour the intertidal zone. “Are you looking for something dangerous?,” she nervously asked. Eastern White Pines. Photo by US Fish and Wildlife Service. lifts fine snow from ancient pines. I wrote that haiku twenty years ago intending to show the sensual commonality of contrasting locales, pointing toward our shared experiences across superficial cultural divides. Only today, while poking around data piles about pines in this tanenbaum time of year, did I learn of the deep connection Eastern White Pines once had with the ocean. Within twenty years of landing on the Eastern White Pine-spired shores of New England, the Pilgrims were exporting trunks for ship masts to ports as far away as Madagascar. The New World, from Nova Scotia to Georgia and out west to Minnesota, boasted Eastern White Pines standing over 80’ (24m), with reports of individual trees soaring up to 230’ (70m). Though this species is the tallest pine in North America, healthy ones are also pin straight. As the colonies grew, so did competition for use of Eastern White Pines. In no mood to pay market rates for its materials, the British government carved the trunks of choice trees with the “broad arrow,” reserving them for Navy ships and exacted heavy penalties from violators. Colonists came to resent that heavy-handed claim on their assets and began falsely marking lesser stands while selling the navy’s best as more profitable lightweight, strong, knotless, and pale (hence the tree’s name) plank wood. Though it’s little remembered today, friction over the issue contributed to revolutionary sentiments among New Englanders. During the vicious “Pine Tree Riot” a sheriff was lashed with pine switches and his horses were maimed. One might say the Minute Men thumbed their noses at the crown by putting an Eastern White Pine in the white canton of their flag, where the cross of St. George used to be. You can still see a broad arrow carved into white pine in New York City today, but not in a way one might expect. The pinewood door of an 18th century mansion belonging to the wealthy, rebel Blackwell family of western Queens bears the mark from a British soldier’s saber as a sign of punitive confiscation. The house has long since been demolished, but the door (with melted bottle windows in a neat bit of early recycling) is on display at the Greater Astoria Historical Society. The rapid growth of the new United States was fed by raging deforestation. Henry David Thoreau was troubled: “The pine is no more lumber than man is, and to be made into boards and houses is no more its true and highest use than the truest use of a man is to be cut down and made into manure,” he wrote in Autumn. Of course, human appreciation the Eastern White Pine long precedes that European imperial tussling and Yankee commoditization. Native Americans depended on the trees for much more than their wood. Their Vitamin C-rich needles can be made into a tisane, or “herbal tea.” The inner bark, called the cambium, can be beaten into a flour extender in hard times. Cones can be stewed and the seeds are edible. The sap, resin, and tar have medicinal value. Resin can be used to waterproof materials, from baskets to boats. Across a wide swath of North America, Eastern White Pines feed white-winged crossbills (whose bills are specialized for prying open cones), pileated woodpeckers, flying squirrels, red squirrels, beavers, snowshoe hares, porcupines, mice, rabbits, and voles. Bald eagles, moths, chickadees, morning doves, common grackles,and nuthatches shelter in them when they stand, while in fallen trees you’ll find woodpeckers and hibernating black bears nesting. They become such a bedrock of the ecosystem because they efficiently spread seeds by wind and mature trees are somwhat fire resistant. Sadly, it’s tough to find what naturalists reverently call the “virgin whites,” specimens aged over 350 years. After centuries of rampant exploitation (and vulnerability to blister rust that’s carried by cultivated ribes) we’re beginning to make restitution. A few mature stands can be found within the boroughs, notably along the Kazimiroff Nature Trail in Pelham Bay Park in the Bronx and at the Jackson Pond pine grove of Forest Park in Queens. In northern Manhattan, visit Inwood Hill Park near Payson Street. Look for tall, blue-green pines with finely serrated needles measuring between 2” and 5” (5-13cm), and bundled in groups of five. The cones are soft and slender and about 5” long. For me, the most beautiful part of this tree is its almost fractal expression: branches, needles, and cones all spiral in a Fibonacci sequence. Conifers like the East White Pine are marvelously well adapted to snow and cold. The smaller and more numerous needles (compared with typically broad, deciduous leaves) remain evergreen and exceptionally dark to absorb maximum sunlight in the dim northern winter. Photosynthesis isn’t the aim in the dormant season, but rather simple heat, because like humans, trees survive best in a limited temperature range. With few pores and a waxy coat, they also retain water well. Unlike the skyward reaching branches of some species, their branches angle downwards before curling up at the end, to slough off snow before the weight can cause damage. Future generations of New Yorkers will enjoy more Eastern White Pines than we do. It’s a core species of the Million Trees NYC drive. A crew of volunteers from the LIC Community Boathouse was happy to plant white pines in Floyd Bennett Field under the guidance of Friends of Gateway. Our little Charlie Brown Christmas Tree-like saplings surrounded dying Japanese black pines, which were planted under a “Beautify America” program spearheaded by Ladybird Johnson. Those exotic transplants are falling to the blue stain fungus, which doesn’t affect indigenous white pines, explained Dave Lutz, chair of Friends of Gateway. Earth Day NY rounded up people to plant some more for the NYC Department of Parks and Recreation this autumn and I was glad to participate. Another recent “Million Trees” planter of a white pine was Carl XVI Gustaf, the King of Sweden. Volunteer tree planters are needed. For an urbanite, the greatest value of a stand of Eastern White Pines might be spiritual, in a way that transcends any one religion or the Christmas holiday. As Thoreau wrote, “I saw the sun falling on a distant white-pine wood…It was like looking into dreamland.” When we look upon the tree for itself, and not for its uses, the effect is immediate and the cause is clear for why the Haudenosaunee (Iroquois) people called this the Great Tree of Peace. Dec. 13: Newtown Pippin Apple and Beach Plum Outing! Imagine the sandy shores of Dumbo, Stuyvesant Cove, Hunters Point, South Beach, and Pelham Bay resplendent with bushes full of white blossoms that grow into delicious fruits akin to fat cherries as summer passes. Or seeing trees at City Hall, or in a school playground just inland from the Newtown Creek, heavy with sublimely sweet and tart green apples. Welcome to New York City, 2015! Well, potentially. Check this page in the coming weeks to learn how you can be part of bringing beach plums and Newtown Pippin apples back to NYC! It might even be possible to have the Newtown Pippin recognized as the official apple of the Big Apple. We have some amazing sponsors and partners already committed to plantings and helping others receive saplings. 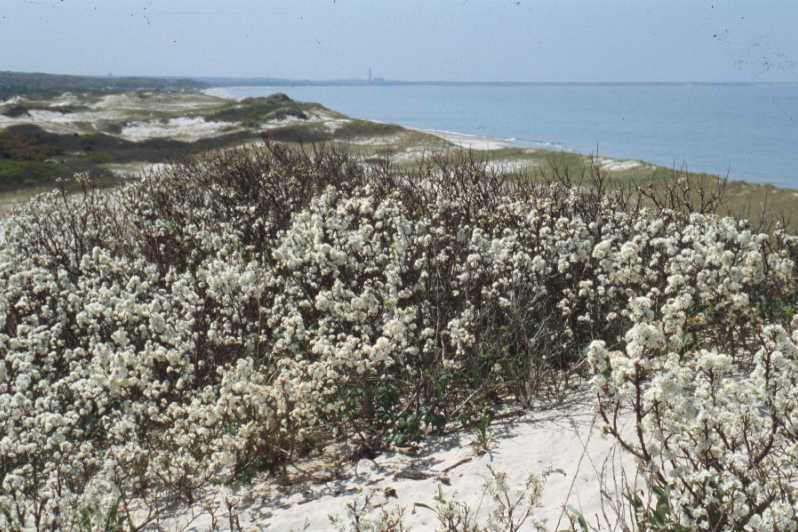 Beach plums grow in sandy soil, even dunes, from New Jersey to eastern Canada. They sustain birds and delight beachcombers, and provide a living for those who make them into desserts. Industrialization erased them from our city’s shores. 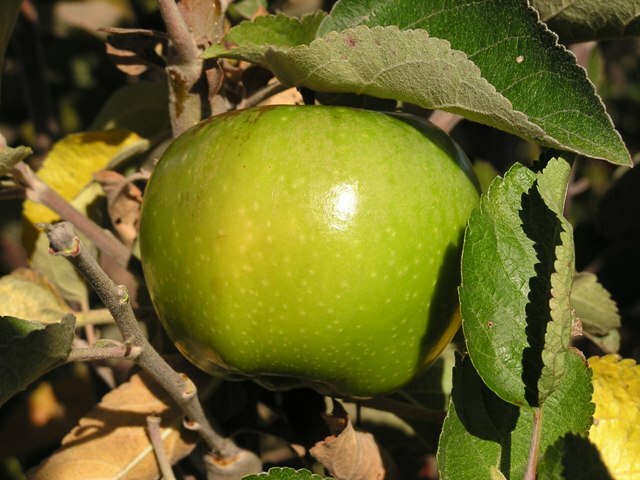 Newtown Pippins were developed on the Queens bank of the Newtown Creek in the 18th century and quickly became known as the “prince of apples.” Thomas Jefferson, George Washington, Benjamin Franklin, and Queen Victoria were all ardent fans. Today they are grown by celebrities like Dave Matthews. They consistently win apple taste competitions to this day. The namesake creek has quietly descended into a state that should shame all New Yorkers. The nation’s largest oil spill leaches into it while combined sewer outflows continually assault it. The creek bed is laden with heavy metal wastes. May the restoration of these species remind us of how lush and wondrous our environment once was, and inspire us to act to replenish our city. One key element of the campaign will be to excite city officials by providing a taste of these plums and apples. On Saturday, Dec. 13, we will carpool or take a train out to Riverhead, Long Island, to buy apples, cider, plum jams, plum pies, and other delicacies at Briermere Farm. While we are there, there will be some exploring, of course! If you’d like to come, please email naturecalendar@gmail.com so that we can determine how best to coordinate travel. On November 9 we will have our first social outings as a Nature Calendar community. In the morning we will hunt for fossils with paleontologist Carl Mehling as he concludes his private quest to find fossils (native or transported by glaciers) in all five boroughs. He’s scored fossils in the four other boroughs from periods as early as 300-million years ago up to a mere 12,000 years old. In the evening we will feast on dishes made from ginkgo nuts (photo above by “Wildman” Steve Brill). This species has thrived on earth since before the dinosaurs and each tree can live up to a thousand years. Each activity will have limited space, and each participant must be individually responsible. There’s no dollar fee for entry. You earn your way as a participant. In the morning, we’ll expect you to poke around in the cold weather for odd and promising stones, or to assist in ways Carl determines necessary. The dinner is a potluck, so show up with a ginkgo delight! 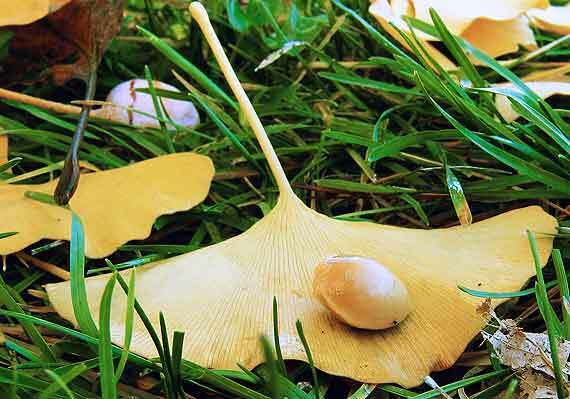 You can cheat and use store-bought ginkgo nuts if you must, but foraging is FUN! Devonian Epoch fossils by the Illinois State Geological Association. We’ll announce the meeting and hunting locations to participants. Just dress to walk through mud, beach comb, and climb hillsides. We plan to start early in the morning. The first social gathering of http://www.NatureCalendar.com will celebrate one of our most under-appreciated street trees, the ginkgo, by having a ginkgo nut pot luck dinner! Go out this week (the season is ending fast!) to gather nuts and then incorporate them into your favorite recipes! We expect that the party will be near Prospect Park. Seating is limited, so please RSVP and gather your gingko nuts! Follow the smell of the pungent fruits. They are in many larger parks and on streets throughout the city. Be sure to either prepare your nuts early or seal them away! Roommates and spouses not in on ginkgomania won’t appreciate the fragrance. Habana Happy Hour Tonight! Green Teachers, Green Grub! NYC’s greenest restaurant, Habana Outpost, is hosting a “Winter Warm Up” talk and happy hour. Learn about Prospect Park and the Audubon Center while mixing with fun and friendly teachers. Oh yeah, and enjoy Habana Outpost’s delicious food, party atmosphere, and ecological model before it shuts on Oct 31! And read the details below! Next Winter Warm Up: Prospect Park Alliance! The happy hour for teachers continues…with a presentation from our neighbors in Prospect Park about their Audubon Center! Eco-Arts, Free Admission Party Tonight (10/03)! 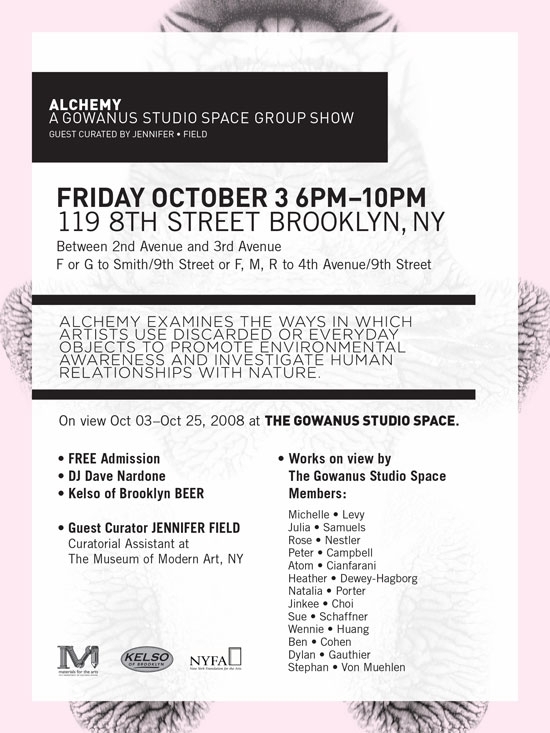 Alchemy at Gowanus Studio Space. TONIGHT: Free admission to a party of environmentalists and art lovers! Beer by Kelso of Brooklyn! DJ Dave “Roosting Box” Nardone! The Alchemy show focuses on how discarded commodities can be reused to investigate our relationship with nature, and perhaps even benefit it. “Suspended Nurseries” and “For the Birds” make use of our waste and ignored resources like rainwater to quietly overlay our city’s hardscape with sustaining ecological niches. Native species rejoice!